Many people have questions about mold. The topic is very in-depth! That’s why I’m taking the time to write a 5-part blog on this subject. I want to make sure you get the knowledge you need when it comes to mold! Molds are types of fungi. They grow in the natural environment. Tiny particles of molds are found everywhere in indoor and outdoor air. In nature, molds help break down dead materials, and can be found growing on soil, foods, plants and other items. Molds are also very common in buildings and homes. Mold needs moisture to grow. 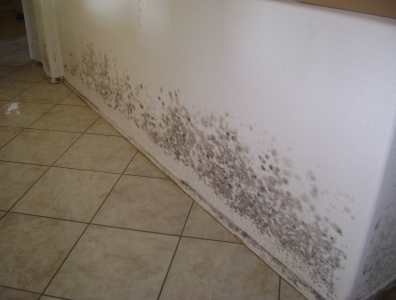 Indoors, mold growth can be found where humidity levels are high, like basements and showers. Molds produce microscopic cells called “spores” that are spread easily through the air. Spores can also be spread by water and insects. Live spores act like seeds, forming new mold colonies when they find the right conditions. Where can I obtain additional information on the Internet? Posted on May 22, 2012, in Inspections and tagged Broken Water Pipes, CDC, Centers for Disease Control and Prevention, Comprehensive Building Consultants, Condensation, Drywall, EPA, Flooding, Florida Department of Health, Fungi, Humidity, Indoor Air Quality, Inspections, Inspector Gadget, Liquid Spills, Moisture, Mold, Mold Cells, Mold Growth, Overflow, Poor Venting, Russ Hensel, Sheetrock, Spores, Storm Surge, SWFL Real Estate, US Department of Health and Human Services, US Environmental Protection Agency, Water Leaks, Wood. Bookmark the permalink. Leave a comment.